Nutrition Coaching. It Works. We have helped many of our clients in Edmonton reach and surpass their goal that we set together during their goal setting sessions. Education and accountability. This is the piece that most individuals struggle with. Ongoing coaching keeps you dialed in and checked in. 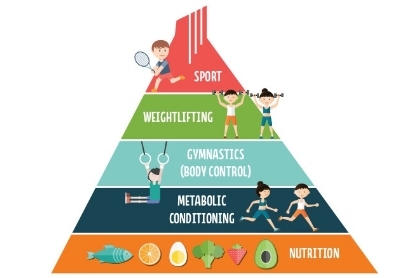 This is our take on nutrition in a nutshell. If you are interested in learning more, book a Nutrition No Sweat Intro with us! MOTIVATION IS THE CATALYST THAT GETS YOU STARTED. HABITS ARE WHAT MAKES THINGS PERMANENT. Education: Arming you with the knowledge to make better choices that will build a sustainable, healthy lifestyle. Working with individuals to customize your needs so that you can succeed. We aren’t all built the same, so you deserve to have a customized plan. Confidence: Building the best version of yourself will produce a more confident you. Confidence in your workouts, your aesthetics, your food choices are all motivators. We can help you achieve whatever goal it is. Ask Yourself, What’s Stopping You? Working with Anne was the dramatic reset that I needed to re-evaluate my relationship with food and nutrition. I finished my first year of school feeling really lethargic, tired and self-conscious - I had gained more weight than I ever had in my life and the number of “wearable” clothes in my closet kept shrinking. I had been doing CrossFit on and off for over 5 years, seeing little results in my body apart from gaining muscle mass and building strength. I had always refused to focus on my nutrition, assuming that I exercised enough to burn the extra calories from sugary treats, takeout and alcohol. I also thought I was eating healthily and being body-positive, even though I was ignoring the signs that I was using food and alcohol to manage day-to-day stress. I realized that I was 100% dependent on sugar and caffeine for a boost of energy, and I was becoming more and more concerned about how my student social life revolved almost entirely around patio beers and late-night pizza. I felt really ready for a significant change in May 2018.